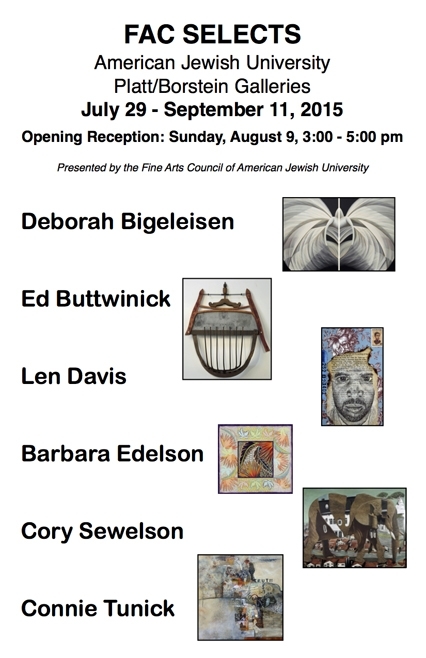 The Fine Arts Council (FAC) of American Jewish University presents FAC Selects, which showcases the work of six artists. The exhibit will run July 29 – September 11, 2015, with a public reception to be held on Sunday, August 9 from 3:00-5:00pm. 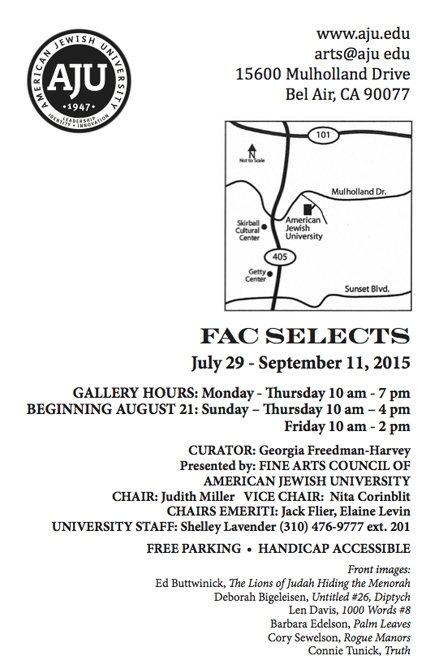 The Platt/Borstein Galleries of American Jewish University are located at the AJU Familian Campus at 15600 Mulholland Drive in Bel Air, California. The galleries are open to the public during weekday business hours. Cory Sewelson, painter, Altadena, CA. Works from his Thin Walls series look at the dynamic interaction between the natural environment and the structures we build to protect against the natural elements in the world. This entry was posted in Show on July 5, 2015 by Cory.